Owning and maintaining a class-c motor home of the 1979 vintage definitely has its challenges. One of them is the odd sized nuts and bolts. I had to replace the master cylinder this past weekend. Besides the bolts being very rusted and having to use copious amounts of PB-Blast, it was quite difficult finding the correct size for the nut. 7/16’s was too small 9/16’s too large and 5/8’s was just slightly too large. So I had to dig deeper into the way back of the drawer of the tool box. I found a wrench that was my grandfathers. 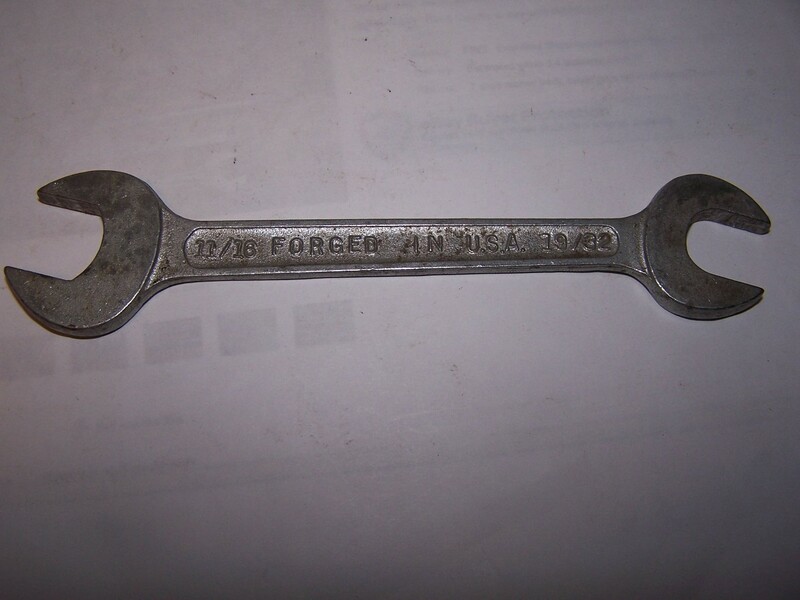 A 19/32 and 11/16 open ended wrench. From what I’ve read these sizes were popular 30 plus years ago. This isn’t the first time I needed some odd ball size or type of tool and I happened to have and it was one of Gramp’s. No I’m sure there are current modern day tool’s of the same size, but they are not usually included in the sets that are sold. Another too story that I have has to do with my son. He recently started at a technical high school, for his shop he needed to get a handful of tools. We went to the local big box hardware store and bought about $100 of hand tools. Along with this went the usual responsibility talk about taking care of and not loosing them. It’s kind of a right of passage getting your boy his first set of “real” tools. These two events also have me thinking, do people still pass tools down to their sons or daughters? From what I have seen it is one of those things that has been slowly dying out. Maybe its just another victim of the throw away society we now live in, or more and more people just don’t want to get their hands dirty. either way I am very happy that in my family we have this tradition. And one day my son will be happily surprised by a 19/32 open ended wrench. So the LeMans race for the Nissan Deltawing came to an abrupt end in the 7th hour when it was hit during a restart and sent into the wall at the Porsche curves by the #7 Toyota being driven by Kazuki Nakajima. 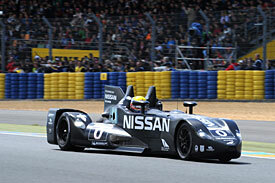 Well wishes and a speedy recovery to Anthony Davidson after his nasty crash in the Toyota hybrid prototype. And congratulations to team Audi for their 1-2 sweep and for being the first in history to win the French race using energy-harvesting technology and four-wheel drive. Mad Skilz, and its always the other guys fault. A recent post in a forum that I frequent has gotten me to thinking. First the post was about how he was involved in a wreck hitting another vehicle and how his mad-racing-skilz prevented it from being worse. Oh and of course it was some other guys fault. I find it quite amazing how no one seems to ever accept the blame for doing something stupid. You never see a post that says “I screwed up and wrecked my car” Its always the car lost control, or a guy stopped short. There is no personal responsibility anymore. In his story, it is pretty clear that he was driving too fast into a a known problem area in poor weather. Cars in front of him stopped, he panicked and slid across a lane hitting another vehicle and wound up in a ditch with a bent up car. Then he has the gnads to say that his “limited” racing experience kept it from being worse. Now maybe its the new math he’s using but something here just doesn’t add up. I would think that if you had any type of racing experience, it would keep you from being in these types of situations in the first place. Plus there are many “racing skills” that are definitely NOT street friendly. Drafting is one that comes to mind. Back to the whole personal responsibility thing. Where did this concept that if I make a mistake, some one else must pay for it come from? Is it the insurance companies when they sue any and everybody remotely involved with an incident? Or the media that continues to report how the car lost control instead of the driver loosing control of the car. Or is it just the way that the government wants us to think so they can step in and save us from “the other guy”. What ever the reason it’s getting to be pretty old, so step up people, and accept the fact that you are not perfect and screw up some times. And some times your screw up has major consequences that you have to deal with. Hey IndyCar, that race sucked, get it off the schedule !!!!! Street races, at best, are not much more then a parade of cars interrupted by several full course yellows. Add a two hour delay because the pavement was “de-laminating” makes for nothing but a frustrating snooze fest. You should be refunding a lot of people and giving a few teams some cash to pay for the damage the track caused. What a poor showing of what is supposed to be the pinnacle of U.S. racing. 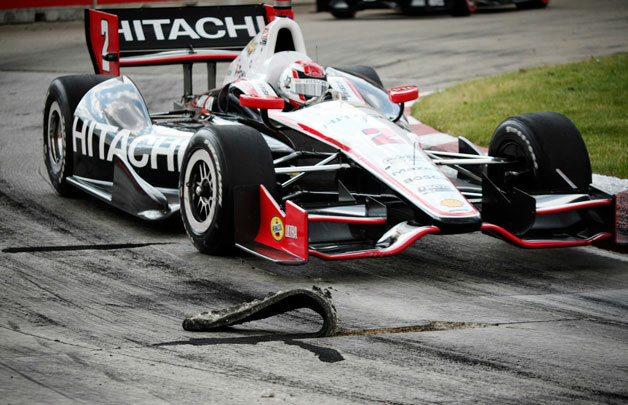 After an incredible race like this years Indy 500, Is this the best you can do IndyCar? What a disgrace and shame on you for keeping these venues on the schedule. Congratulations to Scott Dixon, Dario Franchitti and the Target Chip Ganassi Team for another 1-2 finish. It’s that time of year again when traffic is being held up because of sun glare. Specially if your commute has you going east in the morning and west on the way home. With this also comes the various ways I have observed that people combat this problem. The most effective way is the good old pair of sunglasses. Oddly enough this is probably the least used form of sun glare blockage. The next and my choice is using the cars sun visor. While this option will not help with glare off of the road or other cars it does a good enough job of keeping the sun out of your eyes. Plus being one of many that wear prescription glasses, I don’t have to buy a pair of prescription sunglasses. The most effective way of dealing with sun glare would be a combination of sunglasses and using the visor. Next on the list and what seems to be most popular is the hand shade. Using one hand to block the sun from your eyes. This technique is used for several reasons, the person driving may be too short for the visor to be of any help, specially true when the sun is low in the sky. Although there are extenders available, but I guess that would require some actual thought into the problem. Other reasons include, well they just don’t think of using the visor or they use the visor as a desk drawer and it is stuffed full of old papers, receipts, pens, pencils, sunglasses (ironic huh? ), CD’s etc… you have all seen this and it may even be you. One can argue the safety issue with this, but that is for another post. 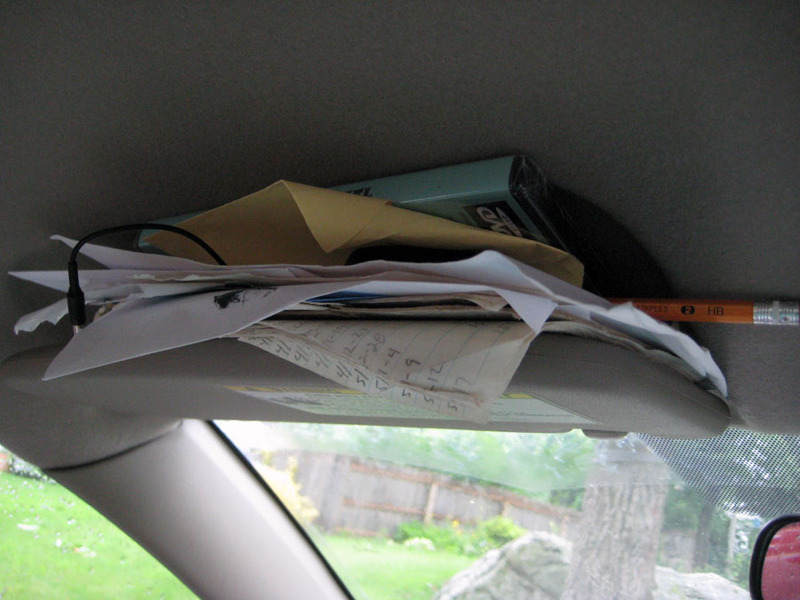 Visor organizers are a good idea in theory, but they too quickly become overstuffed. The last and least effective way of dealing with sun glare is the eye squint. The least effective and MOST DANGEROUS way of dealing with this problem of sun glare. In fact when I see people doing this it ticks me off on how these people could be so lazy and stupid putting themselves as well as others at risk. What other ways have you seen that people use to block the glare of the sun?